The LOL Surprise Pets Series 4 offers 7 layers of surprise! 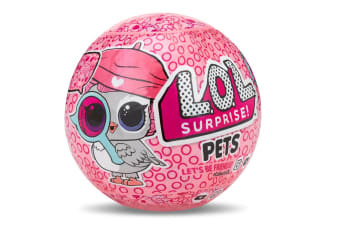 Each layer unveils a hint of which LOL Surprise Pet you’re going to get! Match the pet to the LOL Surprise doll to complete the family. Now there’s a new way to unbox your accessories. Scoop in the litter box for prizes! 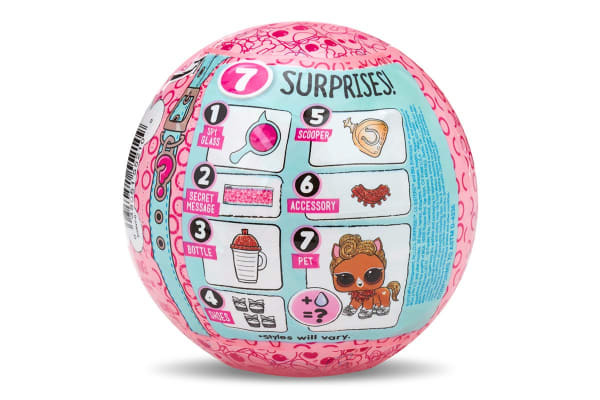 Collect and match the LOL Surprise Pets Series 4 to their Tots and Lil Sisters owners! Feed or bathe your pet for an additional water surprise! The ball also becomes a purse carrying case and playset.